Afghan Lord reports that Radio Taliban- The Voice of Shariah– is broadcasting again from southern Afghanistan. 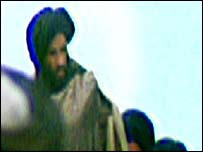 The BBC reported this news back in June and said that the broadcasts included messages from Taliban leader Mullah Omar. In April 2005 there were reports that the station was relaunched. It should be noted that Radio Free Afghanistan remains the most popular station in Afghanistan.